A wild guest blog post appears! 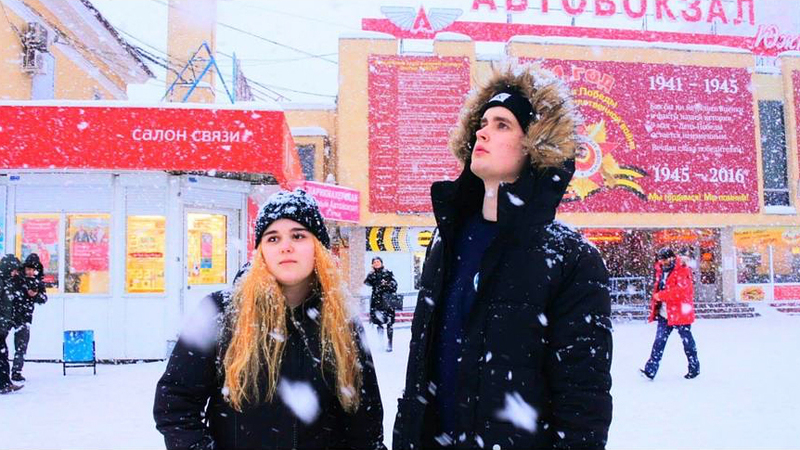 Today my good friend Lea decided to stop by and write about her stay in Russia for a semester. If I have anything to add I will do so in [squared brackets and italics]. Hearing about Russia in our Austrian AFS group chat was always interesting, and hearing about the temperature made winter in Nagano sound pleasant, so thank you for that. Lea and I went to the Popfest together with some other AFSers while still in Vienna, my post about that here. And I did go to Asia, in a way. Ekaterinburg is one of the biggest cities in Russia, with 1.5 million inhabitants. It’s located in the Urals, 40km east of the imagined border between Europe and Asia. Geographically, it was Asia. Mentally? Russia. Most people in Russia wouldn’t consider themselves European or Asian, they would simply say they’re Russian. When I arrived in Moscow at the end of August, I expected everything to be… well… kind of gray. Cold, evergreen trees just about everywhere. It was 25 degrees Celsius warm and the white and light green birch trees made even the old streets look welcoming. In the arrival camp over a hundred students experienced their first “culture shocks”. Students from Thailand and Indonesia would classify the evening’s 20 degrees as really cold. Students from Italy had a hard time with the food – and to be honest, they were totally right. Who puts Mayonnaise on everything? Why would you eat potatoes and meat for breakfast? Do Russians know how Pasta is supposed to taste like? Have they ever tried Eisberg salad? What even is sweet pizza with sausage? And then it was time to meet the host families. In a 32-hour train trip with the Trans-Siberian Railway any feeling of distance I might have had from living in a small country such as Austria disappeared. Growing closer with the 6 other students in Ekaterinburg and the volunteers, sharing snacks and making my first memories – that is what we did. Then the 5 most wonderful months of my life started. The third question would be why I didn’t stay for the year. But how would I answer a question like that? How do I explain that after two months back I still can’t truthfully call Vienna my home? How do I explain that Russia is more than just History, Politics and Vodka? How do I say that I fell in love with the art of living? How would anybody who’s never been abroad for more than a holiday possibly understand? There is a million stories I could tell. A million thoughts to follow through the maze of cultures. A million voices to listen to. [And that’s it for this guest post! I’ll be trying to get some other AFS exchange students to contribute something some time in the future.